Mortgage Choice is a major Australian financial services provider. Holistic website design and development. As a diversified financial services business, Mortgage Choice is about as diversified as they come. Home Loans, Insurance, Financial Planning and even an online business dedicated to helping Australians research, compare and buy health insurance. It is all about taking Australians on the complete financial journey, from buying their home, insuring it and their other assets, to ensuring that their matters are in a good, long-term stead. But what is most impressive about Mortgage Choice is not its $45 billion loan book. Or its hundreds of mortgage brokers across Australia. Or the 27 lenders they represent. Or indeed, that Mortgage Choice is only 20 years young. What is most impressive is the character and independence of the business. Mortgage Choice isn’t owned by any banks or conflicted finance businesses. And a Mortgage Choice broker is paid the same commission no matter what bank or loan they recommend to their client. Which is not something that can be said of many brokers. I know, tell me about it. 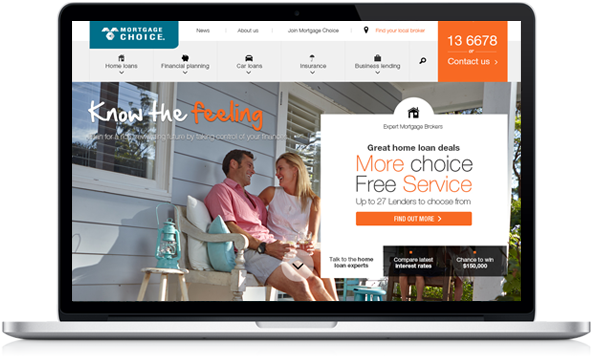 The new Mortgage Choice website coincides with the launch of Mortgage Choice Financial Planning, unifying the different divisions and services Mortgage Choice offers its clients. 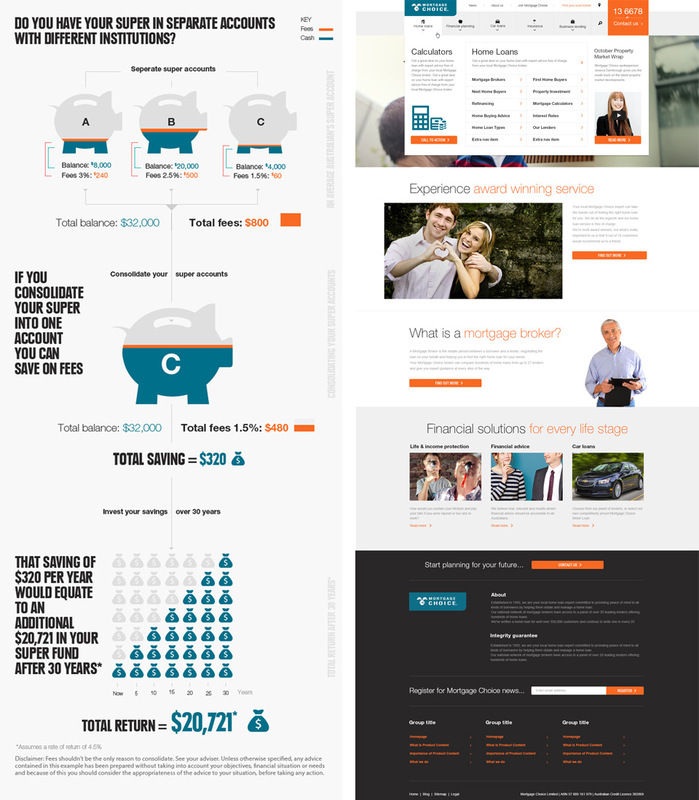 The website reflects the best in modern financial services websites, designed around needs-based and plain English content, some really cool interactive functionality as well as great tools to help users to plan for and build towards their dreams. There is also plenty of stuff going on behind the scenes, with a broker interface, integration with internal Mortgage Choice databases and technologies to help with ongoing analysis and improvement of the website. 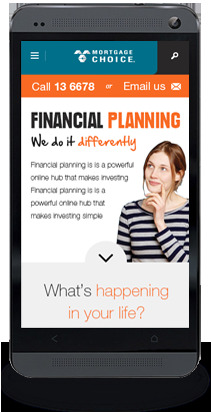 Online is a serious channel for financial services businesses. And Mortgage Choice is a serious financial services business. Bring the two together and you have an excellent website and outcome; and one designed for years of performance and growth yet.